Muvva's upset us. Dis is mega. Dis cud change our lives. I iz rabid wif angur. Well maybe not rabid or angry but me little bit upset. Mojo on da ovver hand dunt bark at stuff like dat, he lets me do it all, but he duz bark wen he wants to go out, wen he's been out, wen he wants something, and most ov all wen he just wants attenshon. Gizmo me adopted furbro is a yapper. But he do bark at postie and he dunt like people much so barks at dem wen dey get too close. So you'll neva guess wot me muvva's gone and dun. Go on guess, bet yoo carnt. Guess den go on..... nope yoo can't guess can yoo. Well me gonna tell yoo cus I knows yoo carn't bear da suspense. She's only gone an ordered 3 anti-bark collars for us. I neva fort I'd see da day, metaforickly speekin. Dey not dem nasty electric shock ones, cuz dey iz cruel, but dey vibrate wen we barks and makes a noise only dogs can hear. Me dreddin it pals. She red up about all da differunt types bfore orderin, and dere woz some dat squirt lemon stuff over yoo, but she fort dat wudn't werk cuz we wud ignore dat and keep barkin, wich we wud *sniggers*. I will let yoo know how we gets on. She... (muvva) sez dat we get on her nerves wen we all barks as it deafnin an we dunt take any notice ov her wen she tells us to stop an she's tried evfurryfing else and nuffin werks. Well course it dunt werk, we iz dogs. Barkin is wot we duz. I mean, look at her now, oh sowwy yoo carnt see her bahahahaha Well take my werd for it. She sat dere on da sofa, in her own little wurld, dunno wot she finkin about, nuffin probbly by da glazed look on her eyes, totally oblivious to wot she gonna inflict on us dis week. She not got a clue how we gonna feel wen we barks wif dem collars on and feels dem wobbling about on our froats and make a noise in our earholes. I fink we gonna haf to make a plan, so we all bark togevva den all vibrate in unison infront ov her, bit like clockwerk soldjers. Haf to practiss dis. Come on furbro's Mojo on me rite, Gizmo on me left. *pulls Mojo closer and pushes Gizmo to the front more* Dats it we all lined up perfick. Bzzzzzzzzzzzzz to da left and stop. Take a breff. Bzzzzzzzzzzzzzzzz to da rite and stop. Take anuvva breff. Ok concentrayte. Lets get her attenshon, Mojo roll on yer back and show yer bits, Gizmo start yapping, I'll just sit infront ov her and whine a bit. Bzzzzzzzzzzz to da rite and stop. Take a breff and give muvva da eyes. She's not impressed. She's got a funny smile on her face. Bit confused lookin I fink. Shall we do it agen or wait til da collars iz here? Well pals, if yoo can stand da suspenshon, I will tell yoo how it goes. Me and furbro's just off out of muvva's sight to practiss our synchronised vibrayting. OMD...me dad twyed dat wen I wuz a wee puppy n guess wot...I barked n nuffin shocked me. He took it off holdin it n I barked n bzzzz bzzzz he shaking n scweemin got $*-+&%#@ n put it back on me. I barked n nuffin shocked me. He took it off agin sumtimes dem hoomans not da bwitest bulbs. Aneeway I barked agin n he dwopped da collar shakin n scweemin.....well me fwens dat wuz da end ov dat dastardly zoms collar. Mama she laffed n said serves him wite. Aneeway me pops iz otrb wiv me n he still carryin on bout dat time. Iz plain mean...we iz doggies faw heabens sake. Duz dey not fink we likes ta chat up da naybors. We just bein nayborly. Wen Simone sez hi it rude not ta acknowlige da gweetin. Pfft. Dem hoomans bulb gettin dimma n dimma. Wen da lites go out dey gonna wunda y we not barkin or warnin dem.....yup dey not da bwitest fings on urf... gudness. 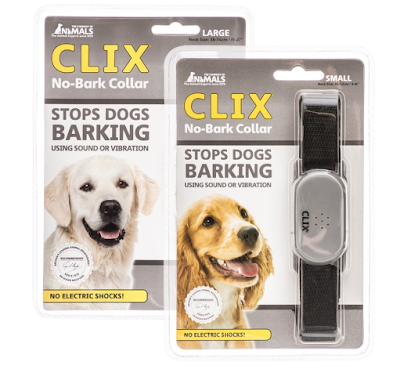 Anti-bark collars? What da woof?? I's a certified barkaholic, barkin are da way of life for a westie. Least I thinks so. So bark on! What about meowing. Will meowing be allowed? Inquiring minds wanna know. No bark collars?? Whut kinda fiend came up wiff dose!? !